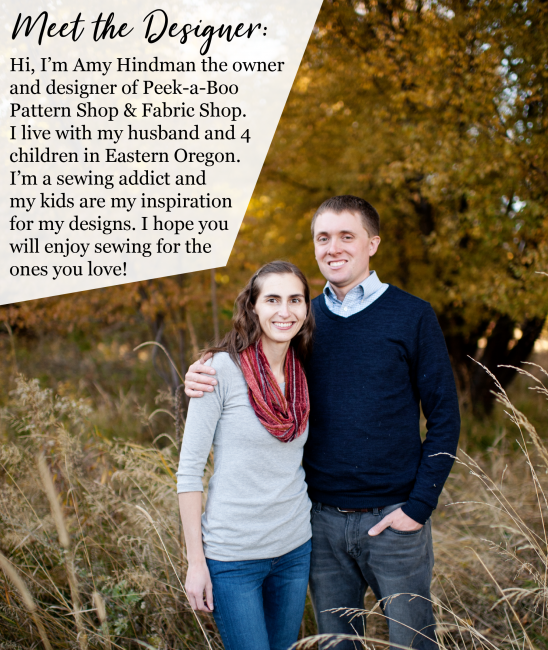 Welcome to Day 3 of the Sew Along! Today we’re going over bindings! Both the Maui and Rio have bindings along the arms and neck. To start with mark off the binding and opening in quarters and then match up your marked points. Then carefully stretch the rest of the binding to fit and pin in place. Now your binding will be evenly distributed. 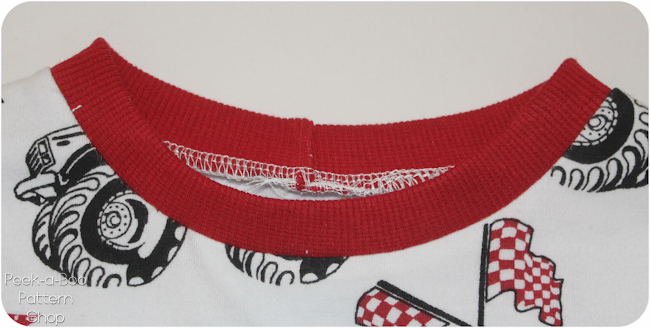 If you are using an extra stretchy fabric for your binding you might want to shorten it some if it seems too loose. 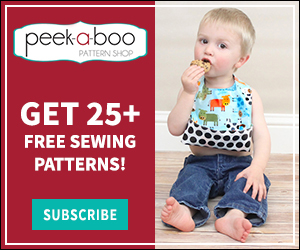 Now sew in place with your serger, zig-zag stitch or stretch stitch. If you are doing binding option #1 on the Rio only one edge will be sewn in place at this point. Now is a good time to try it on over the child’s head. 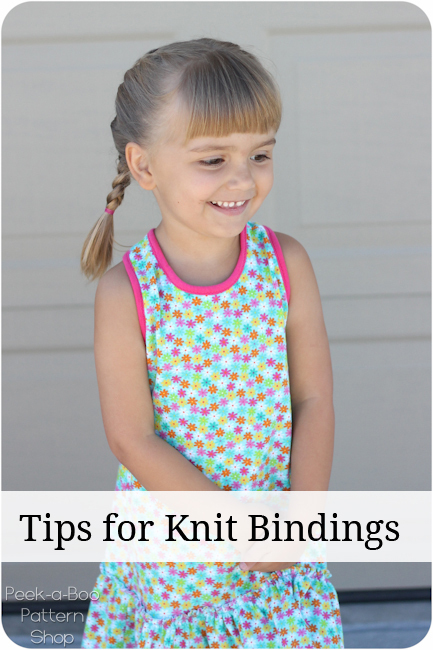 If it’s too snug you can widen the opening some and use a longer binding. It’s much easier to fix that before you topstitch. You have a couple options when you topstitch. On Will’s I chose to use my double needle. For a fun effect I did 2 different colors of threads and stitched with one needle on the binding and one on the tee. To keep my stitching straight I kept the guideline on my presser foot lined up with the seam line. On Levi’s I used a zig-zag stitch in white. It’s a bit quicker and since you can barely see it I think this finish works just fine when you can match your thread color well. I used a stitch length of 3 and a stitch width of 2. On Anne’s Rio I did binding option #1. I find it is easiest to skip the pressing completely and just fold the binding under and pin carefully. 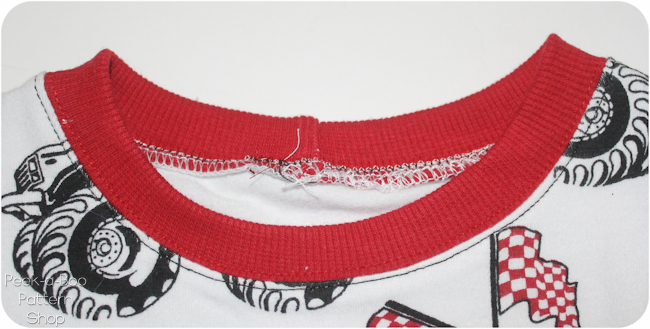 To keep the fabric from stretching out as you sew I recommend a long and narrow zig-zag stitch. I did a length of 3 and a width of 1. I sewed one binding with a short and wide zig-zag on accident and the fabric stretched out a lot more. 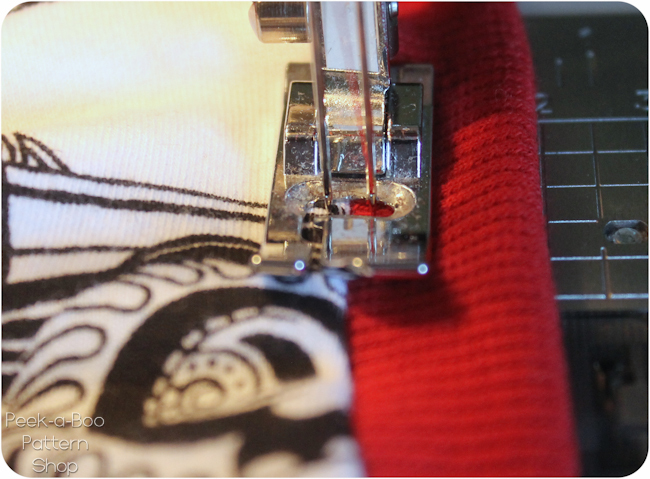 After you finish topstitching make sure you steam and press your bindings (and hems!) to help the knit recover. This will generally take care of any mild stretching. I also find spritzing it with water and tossing it in the dryer works well too. 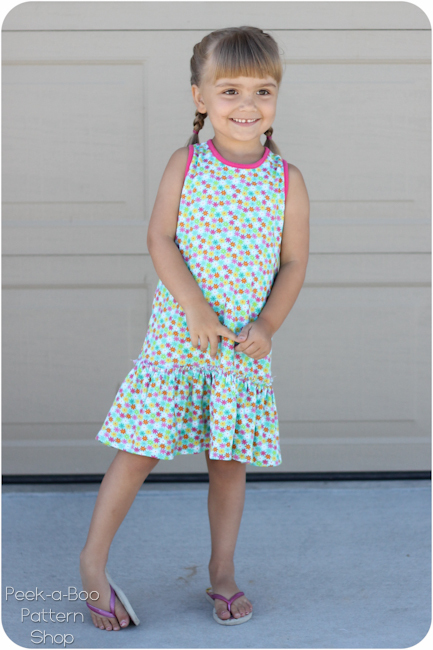 Come back tomorrow to learn how to add a ruffle to the bottom of your Rio dress! Thanks! I am only just getting into sewing knits, and since I found I can use a double needle I love love love it! Do you have any pages or tips on binding a V neck on a knit shirt? Super excited to learn about ruffles! Love that dress – it’s completely adorable.